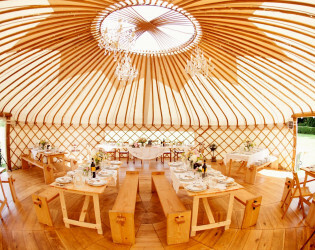 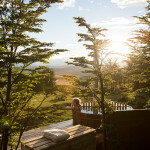 Wedding Yurts offers couples the ultimate in bohemian luxury. 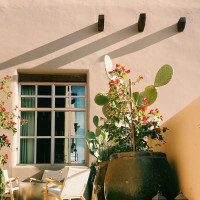 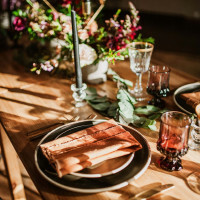 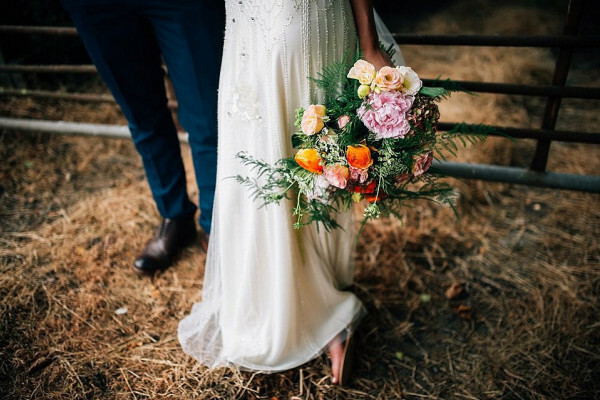 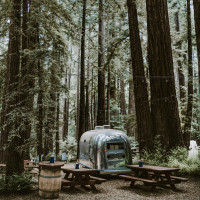 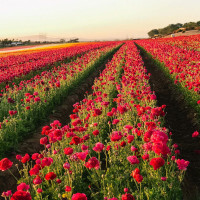 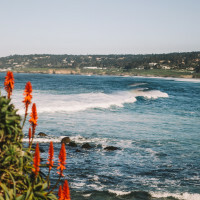 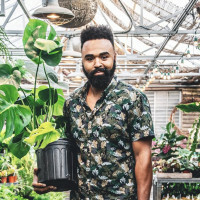 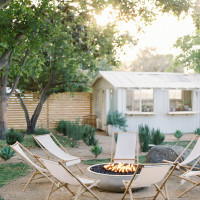 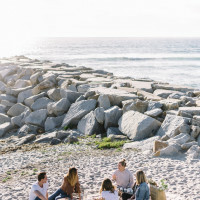 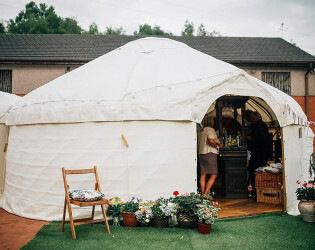 If you want to get away from it all, create your own unique wedding that’s luxurious, laid-back and effortless then Wedding Yurts is the magical, one-of-a-kind wedding venue for you. 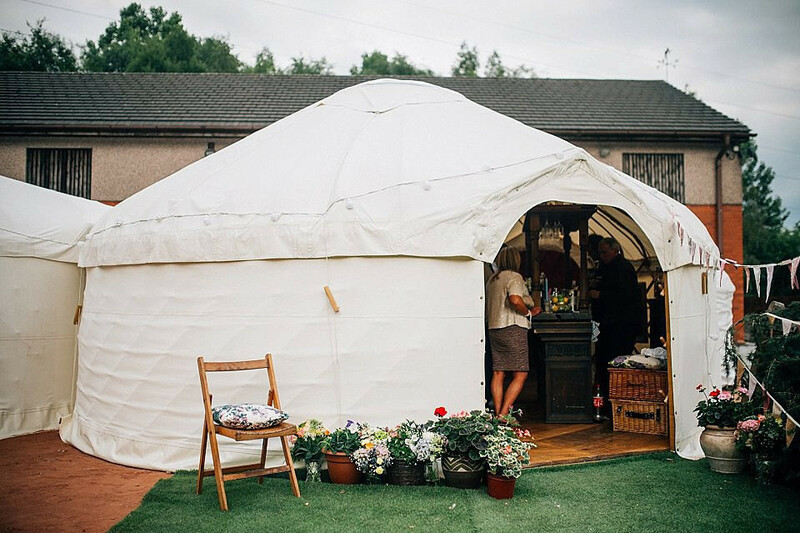 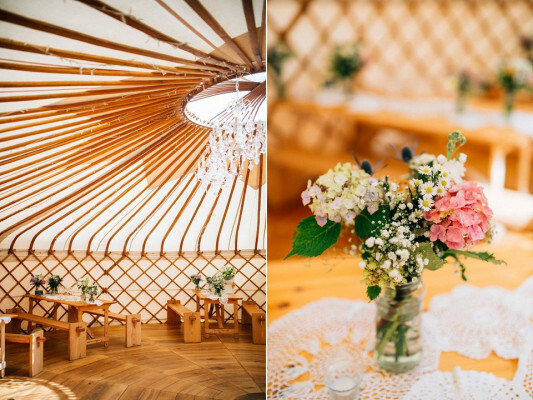 The fabulous Wedding Yurts is a venue unlike any other because in this case, your dream venue comes to you! 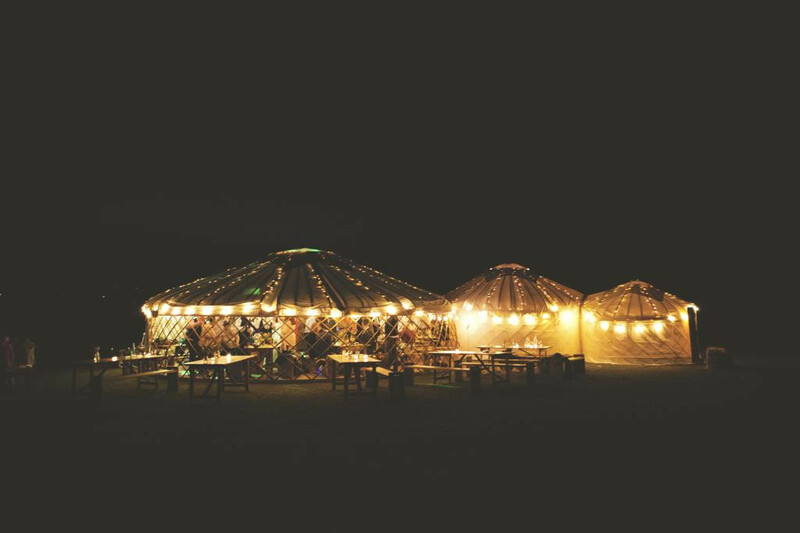 The impressive boutique venue consists of handcrafted luxury yurts complete with: solid oak floors, wooden furniture, strings of golden fairy lights and glass chandeliers; perfect for free spirited couples who want to celebrate outdoors without compromising on luxury and style. 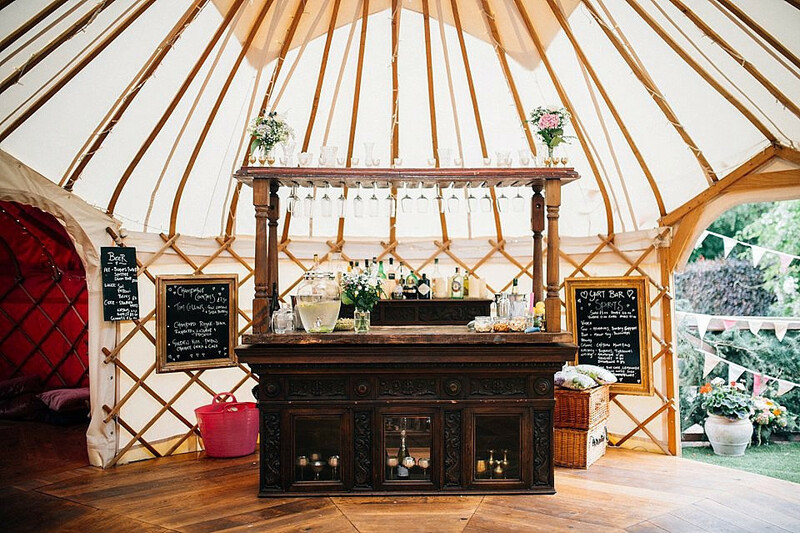 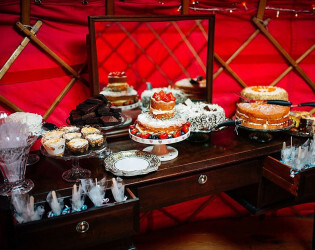 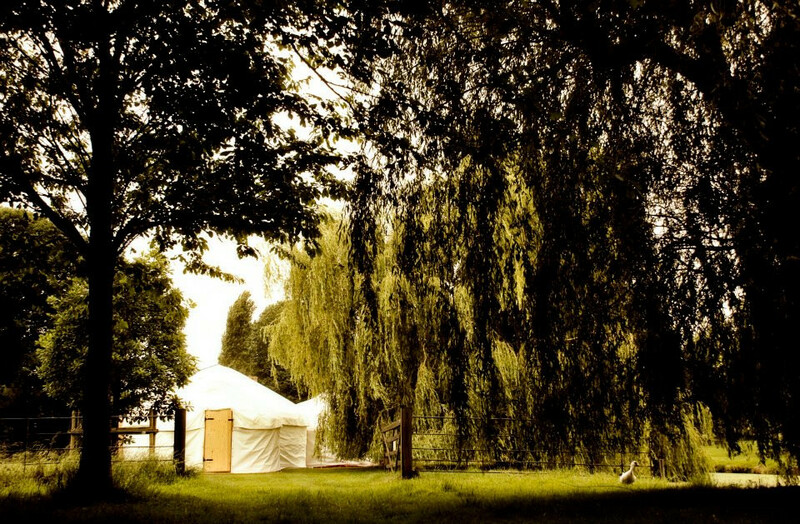 Brides can hire the beautiful large yurts, the glamorous champagne yurt bar (fully licensed and fully stocked!) 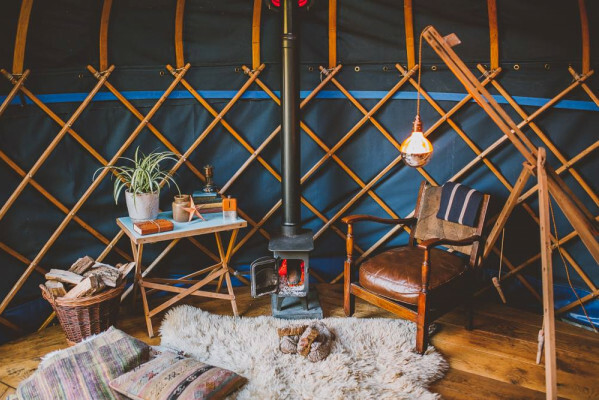 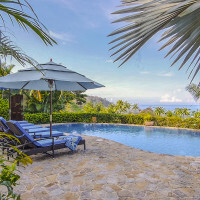 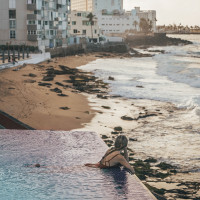 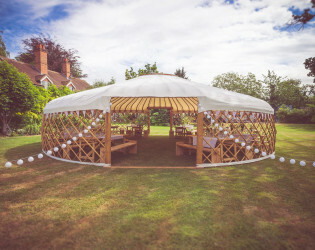 and the indulgent honeymoon yurt to set up in any location that they like and, if they don’t have a suitable space in mind, Lizzie and Jim can recommend spots that are just perfect for weddings. 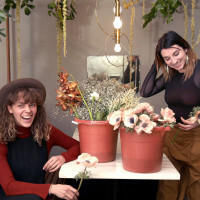 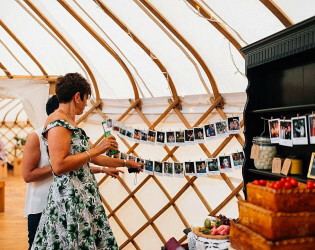 On the day itself, Lizzie is on hand throughout the day to make sure everything runs like clockwork and DIY brides particularly appreciate this level of additional support. 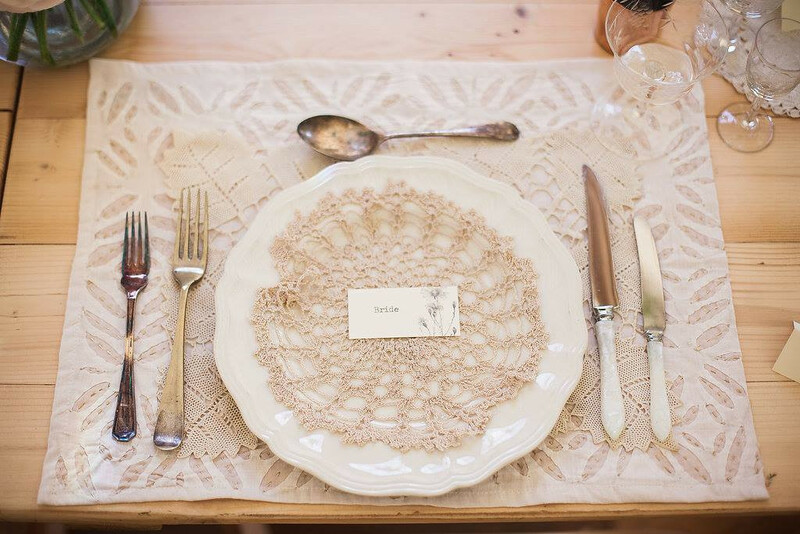 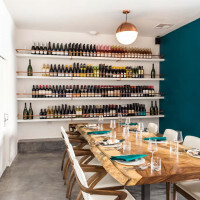 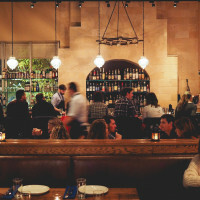 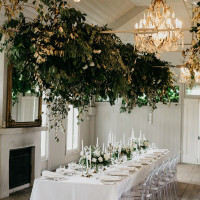 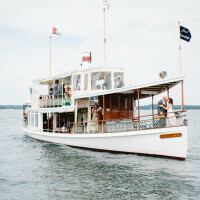 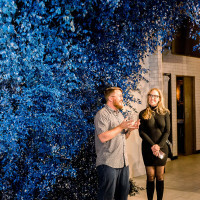 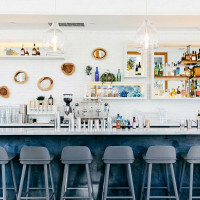 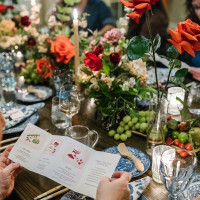 Lizzie brings all of their plans to life and takes care of all of the little details of the day leaving the happy couple free to enjoy every minute with their friends and family. 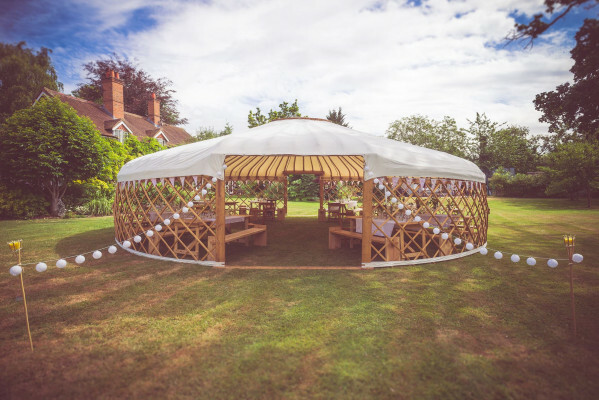 Wedding Yurts offer a totally flexible service with the larger yurts being available in any combination of sizes to accommodate up to 150 guests so the space will perfectly suit the numbers of guests. 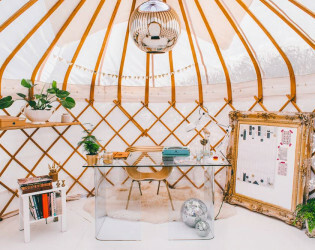 No rattling around in huge buildings and no being squeezed into too small a space. 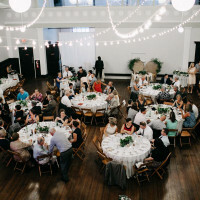 The wedding venue couples have is absolutely designed around them and them alone. 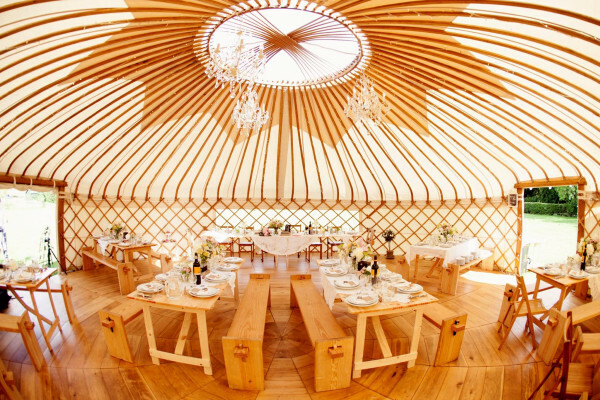 Wedding Yurts offers couples the ultimate in bohemian luxury. 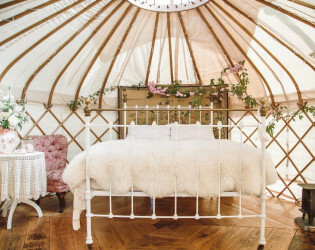 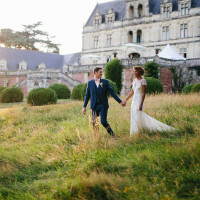 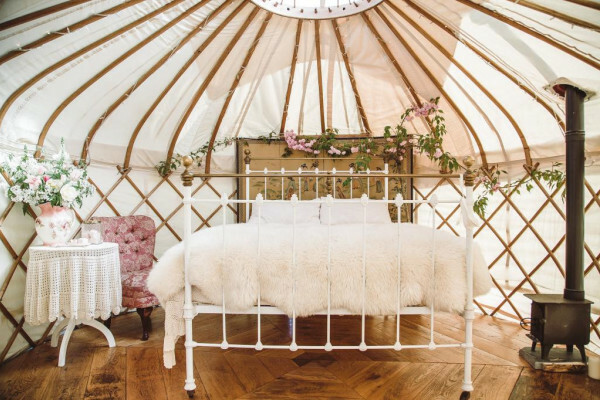 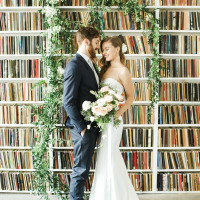 Imagine sipping signature cocktails in the super sophisticated champagne yurt bar, dancing the night away in the large yurts and waking up as the sun streams in on the couple’s first morning as husband and wife in the honeymoon yurt. Wedding Yurts is unique. 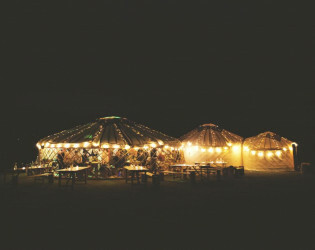 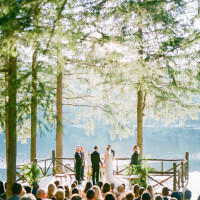 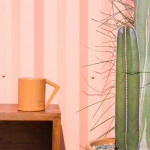 It’s a venue that is never the same with ever changing views, backdrops, looks and styles. 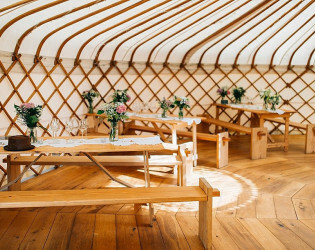 If you want to get away from it all, create your own unique wedding that’s luxurious, laid-back and effortless then Wedding Yurts is the magical, one-of-a-kind wedding venue for you. 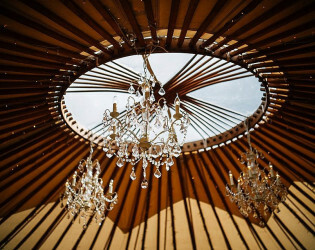 Our luxurious Honeymoon Yurt is beautifully decorated for a magical wedding night under the stars. 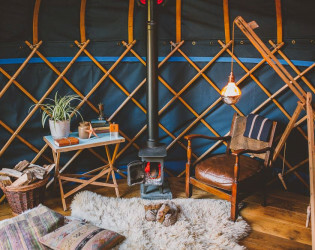 Imagine following a path lit with hundreds of candles leading you to your luxury yurt, wood burner stoked and champagne on ice. The yurt comes complete with double bed, organic cotton bedding, feather duvet, pillows and sheepskin rugs. 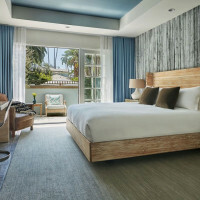 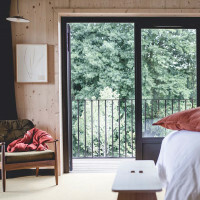 Wooden doors and floors for an extra level of warmth and luxury. 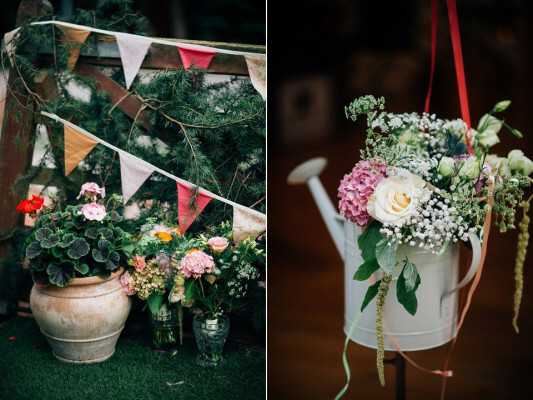 Wood burner including a basket of logs and candles and flowers to set the scene. Sleeping with a view of the stars above the bed and waking to the sound of birdsong, a truly blissful experience. We decorate with strings of golden fairy lights, chandeliers and candles to create a magical ambiance or the yurts can be decorated and styled to suit your taste. 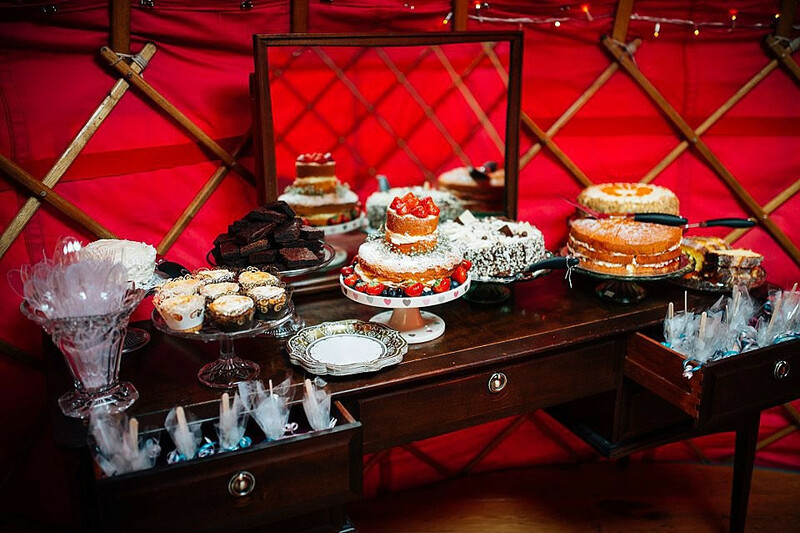 Wedding night hampers are available with champagne, strawberries and aphrodisiac chocolates. 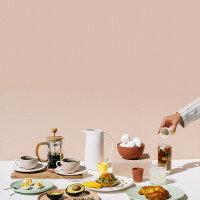 A breakfast hamper full of your favourite foods can be ordered including freshly ground coffee, home-made jams and bread. 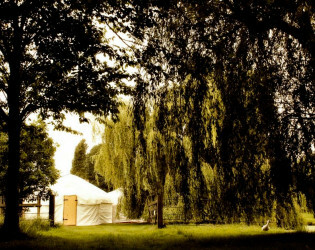 We can deliver all around the U.K and set up at your chosen wedding venue or we can offer you our little black book of stunning locations. 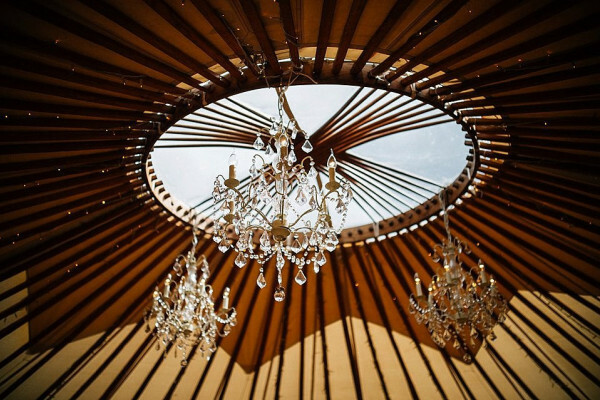 Hanging chandelier in the wedding yurts. 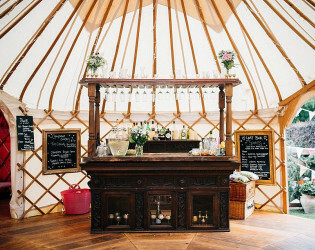 Brides can hire the beautiful large yurts, the glamorous champagne yurt bar (fully licensed and fully stocked!) 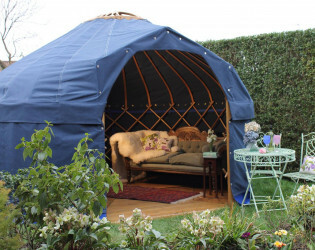 and the indulgent honeymoon yurt to set up in any location that they like. 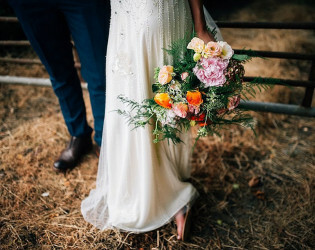 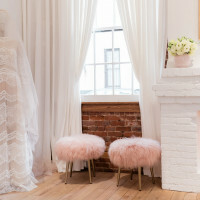 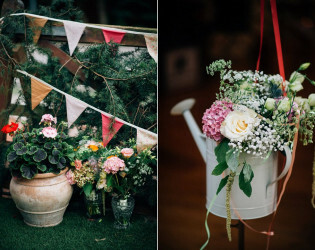 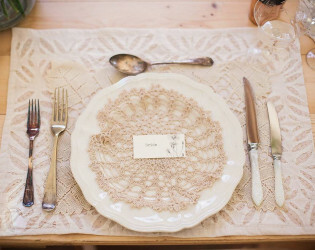 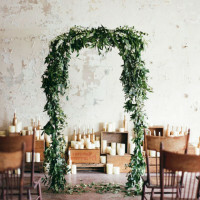 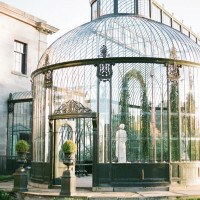 Perfect for bohemian styled weddings! 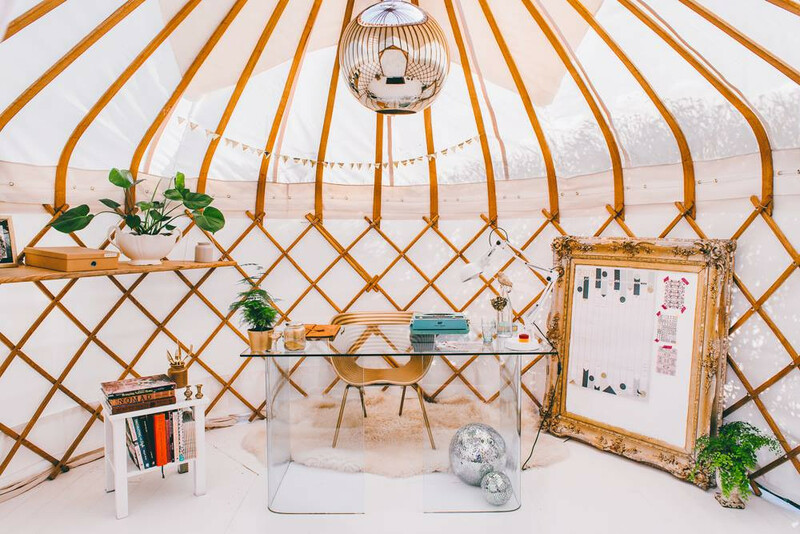 The impressive boutique venue consists of handcrafted luxury yurts complete with: solid oak floors, wooden furniture, strings of golden fairy lights and glass chandeliers. 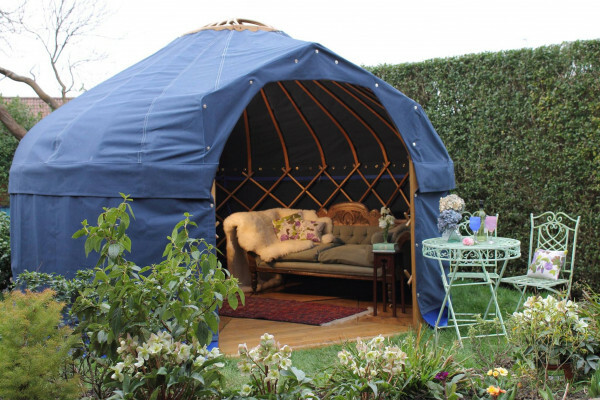 Beautifully hand-crafted yurts designed for garden living. 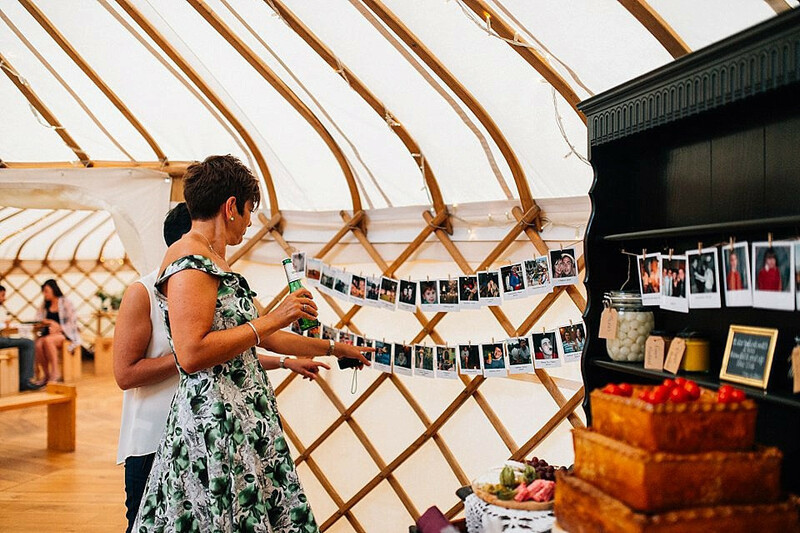 Wedding Yurts offer a totally flexible service with the larger yurts being available in any combination of sizes to accommodate up to 150 guests so the space will perfectly suit the numbers of guests. 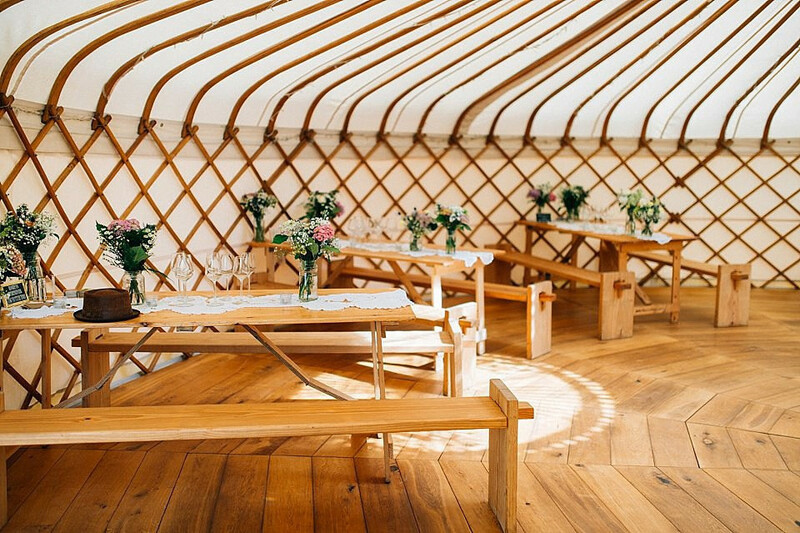 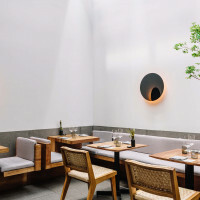 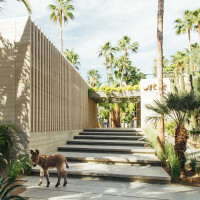 Imagine sipping signature cocktails in the super sophisticated champagne yurt bar, dancing the night away in the large yurts and waking up as the sun streams in on the couple’s first morning as husband and wife in the honeymoon yurt.